We open with the Jorogumo stabbing Watanuki through the chest with a needle as he refuses to rid himself of Himawari’s ribbon. 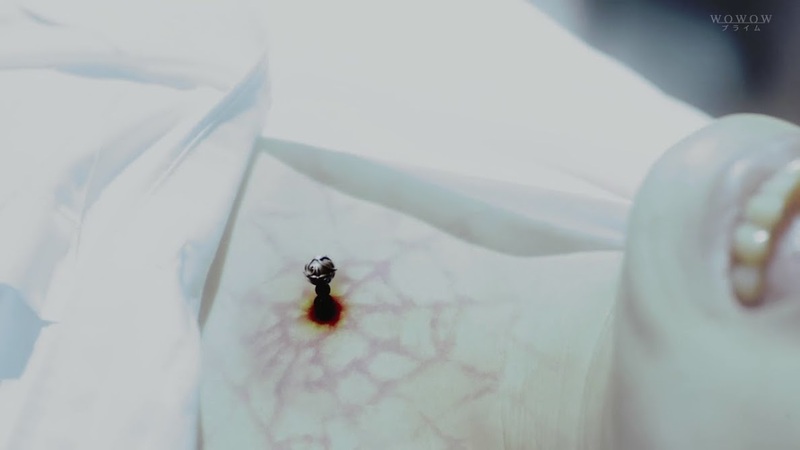 Blood spews from his mouth as a spider web shape appears where the needle disappeared. The Jorogumo stands and laughs. As expected, Himawari is a horrible girl who causes all of Watanuki’s suffering (which we all know is NOT true—she just tends to amplify it). 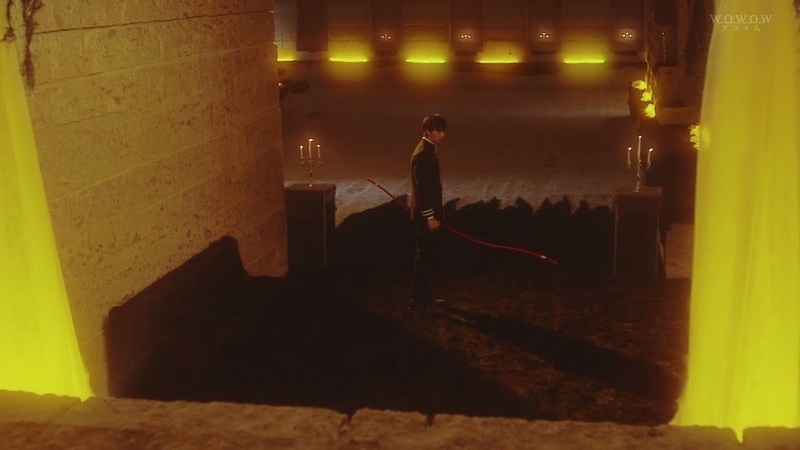 Meanwhile Domeki is desperately searching for Watanuki the Jorogumo’s layer. He comes across the leather-clad spidey girls who surround him and touch him. Watanuki asks if they are ghosts. The girls just laugh, but this all stops when Domeki pulls out his magic bow and shoots a spirit arrow that ricochets like crazy and makes the spideys disappear. 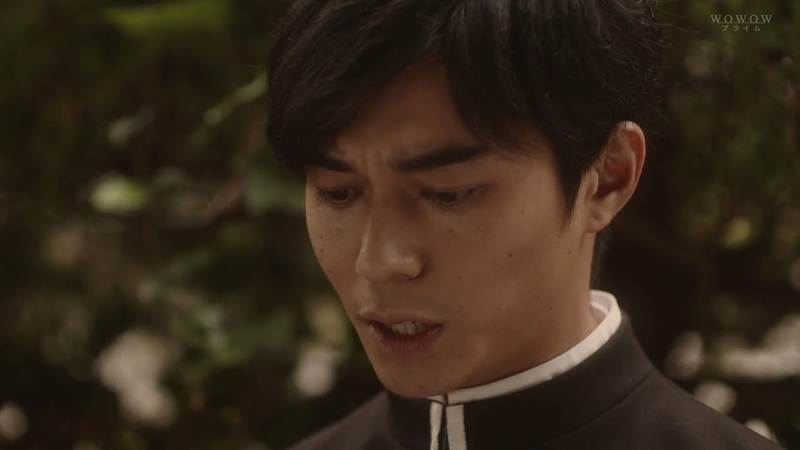 Domeki yells Watanuki’s name, catching the Jorogumo’s attention. Our spider queen complains that Domeki is a rude and violent guest. Domeki doesn’t answer to this and only demands Watanuki back. Our poor ghost seer is writing on the floor in pain and coughing up blood. Jorogumo asks if Watanuki wants his friend back in such bad shape. She then complains that Watanuki chose this thanks to Himawari, but since he has such an innocent soul, it’s worth it. 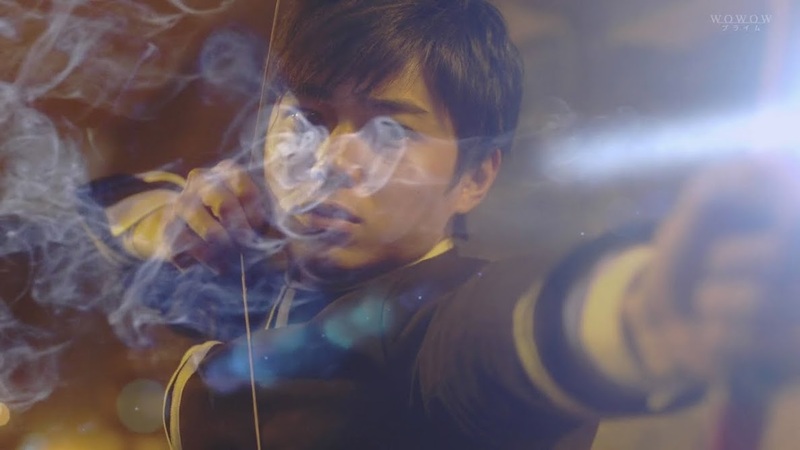 Domeki then aims an arrow straight at Jorogumo’s head. He nails her and while her head flails and she complains that it hurts, it doesn’t destroy her like it did the ghosts. He takes aim one more time. Jorogumo calls him annoying and sends both him and Watanuki back to the mortal world. 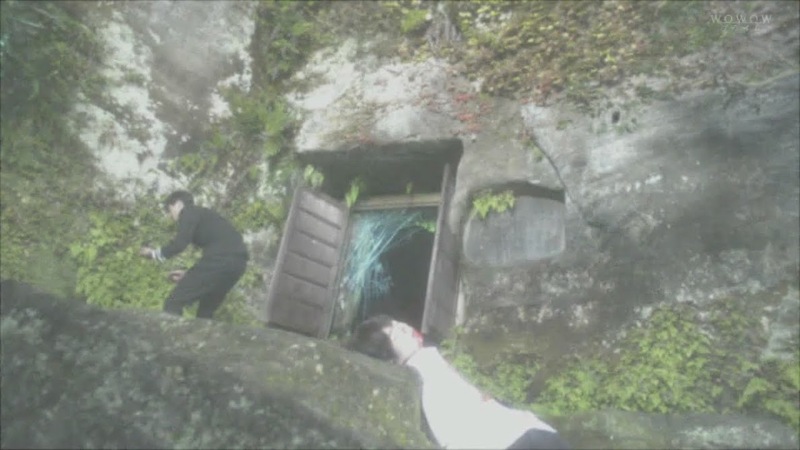 Outside Domeki immediately rushes over to Watanuki who is still suffering and bloody and gasping for death. The spider web now looks like it has been engrave into his flesh and is even bigger than before. 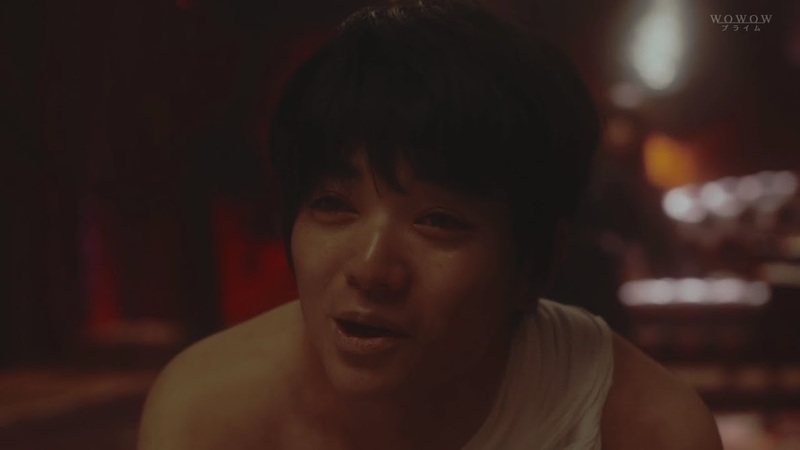 Domeki yells at his friend to not die and that’s when Watanuki wakes up in Yuko’s shop. Yuko greets him saying it has been awhile. Watanuki is surprised that he was able to return. Yuko explains he was fooled by the Jorogumo. 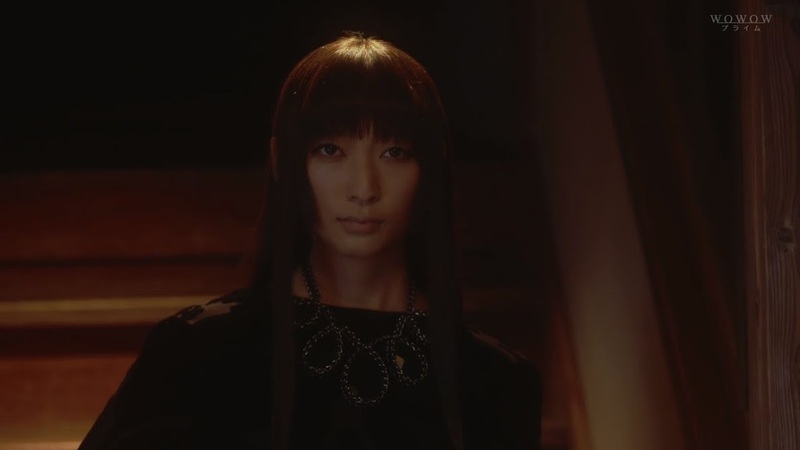 Since Yuko’s shop is protected by a strong barrier, that was the last place the spider lady wanted her prey to go, thus she set a trap to keep Watanuki from Yuko’s shop. Watanuki asks if Domeki brought him to the shop. Yuko says that he did, plus one more person. She nods to the back of the room and there stands Himawari (who looks much better without those pigtails, by the way). Himawari smiles and tells Watanuki that she is glad he is awake. All of what the Jorogumo said floods his mine and Watanuki fights against it. Himawari tells him that it is okay and the pain stops. Watanuki knows about it doesn’t he—her power? Himawari then tells her story. She learned of her power when she was only 4. Her ball went into a neighbor’s yard and the next day the house burnt down. The fire started at the exact spot her ball fell. From then on, she can’t begin to list all the minor injures, major injuries, and deaths that occurred because of her. 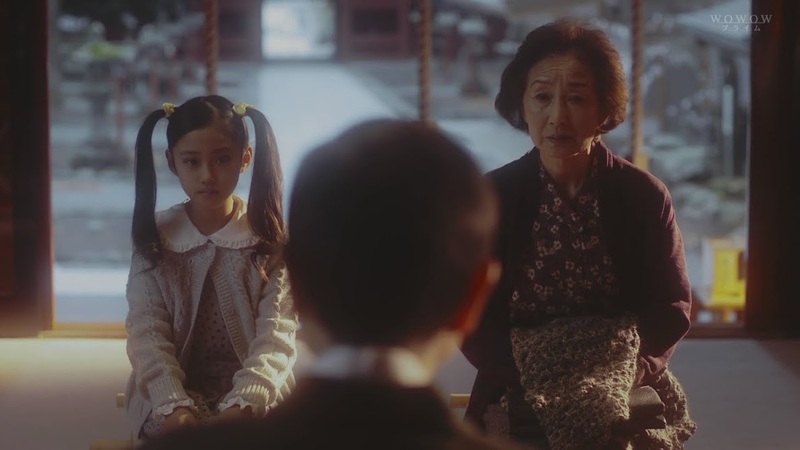 Thus her grandmother took her to a shrine to see if she was possessed by an evil spirit or possessed some special power. The priest refutes both of these things. Himawari is just a normal girl. This relieves her grandmother. So the misfortunes are just their imagination? Nope. While she is not possessed nor possesses any sort of power, Himawari brings bad luck to those around her. The priest says there are those who exist in this world who bring misfortune to others even though they are just ordinary. Actually, because they are ordinary this happens. This is just the blood she was born with. The priest then asks that they don’t come to the shrine any more as there is nothing he can do for Himawari. Just after that incident, Himawari’s grandmother died. This made Himawari wonder if that was her fault as well. She then says that it is only Domeki who is immune to her blood—maybe because he resides in a temple? Himawari doesn’t know why, but for some reason Domeki has cared about her since they were children. Himawari then says that Domeki is reaching his limit and we see Domeki out in the hall looking rather ill sitting on the stairs. Himawari tears up and says she must leave now and thanks Watanuki for his delicious bentos. Himawari turns to leave and Watanuki painfully crawls after her and tells her to wait. He lifts his head weakly and smiles. What kind of bento would she like tomorrow? Didn’t he hear her story? Doesn’t he know he’s hurt because of her? Watanuki says he did and he does, but Himawari is a person who makes him feel happy. From her saying his name to her smile, it brings him joy. He crawls even closer and asys that her smile is his reason for existence. For that smile, he wouldn’t mind dying. Given her curse, you have to know that isn’t the right thing for him to say to her. Himawari turns and smiles sadly, calling Watanuki a fool before leaving. Yuko’s expression looks a mite unhappy. Himawari walks down the stairs and Domeki calls out to her. 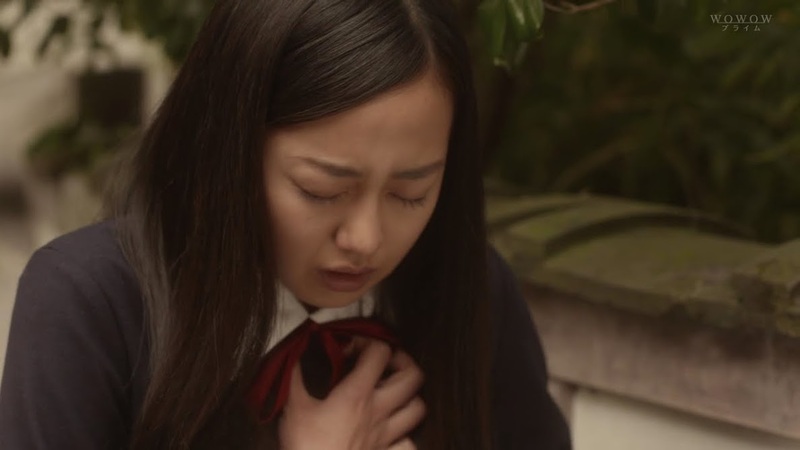 She pauses and we can hear her sobs, but it seems Domeki is too weak to go over and try to comfort the girl. 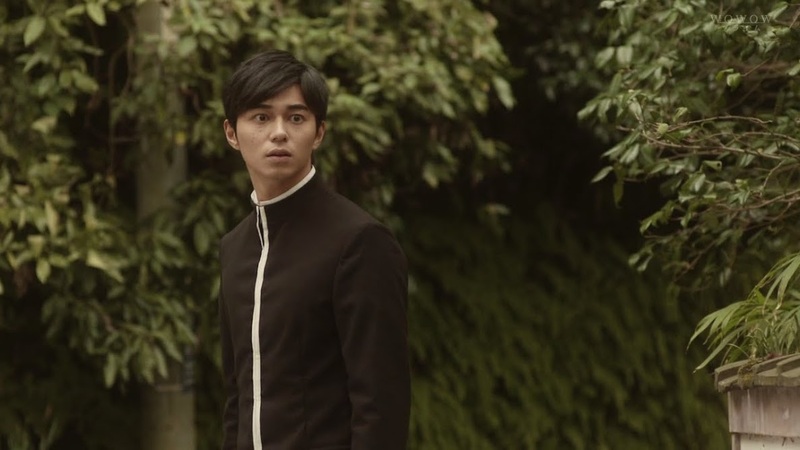 Meanwhile, Watanuki manages to struggle to his feet to chase after Himawari, but Yuko steps in front of him and tells him that he can’t because of his injuries. 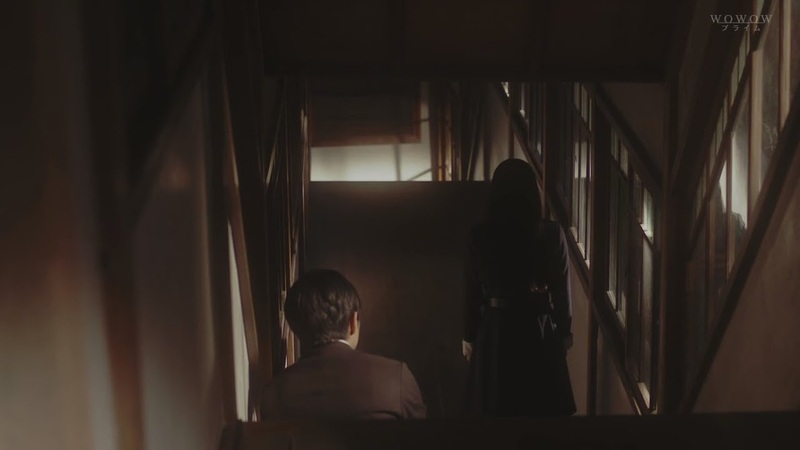 Watanuki replies he’s fine, but Yuko stops him once more. He was at death’s door when he was brought to her shop. The venom of the Jorogumo’s needle is very poisonous. Yuko then rips the bandage on Watanuki’s chest and reveals the scars are gone. How did that happen? Does he know? Watanuki does know. Yuko confirms that both Himawari and Domeki became her clients. We then cut to Himawari finding Domeki and Watanuki. The two then do their best to carry him to Yuko’s shop. 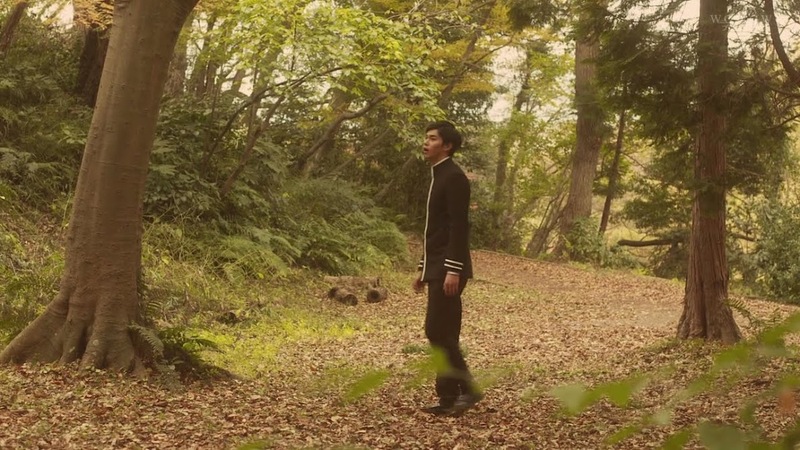 Domeki blames himself for not finding Watanuki sooner. 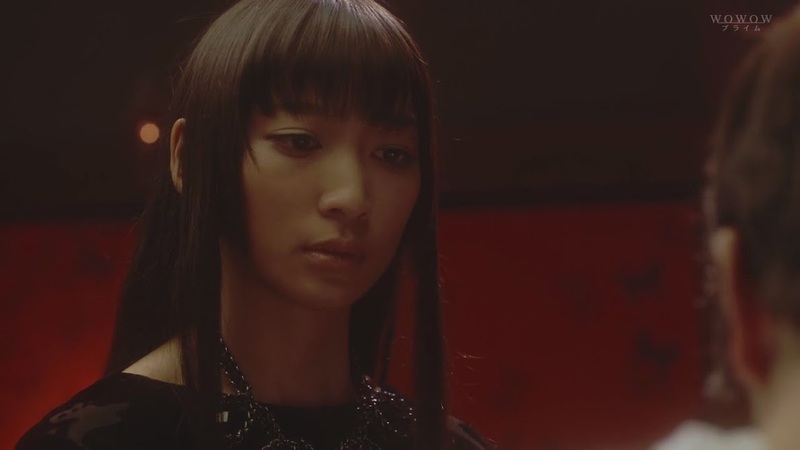 Yuko asks if they are really certain about their decision. Himawari readily says they are and for Yuko to do what needs to be done. Yuko looks over at Domeki and he also agrees. Yuko says that she will grant their wish. Watanuki is in shock. They really did that for him? What was their price they had to pay? 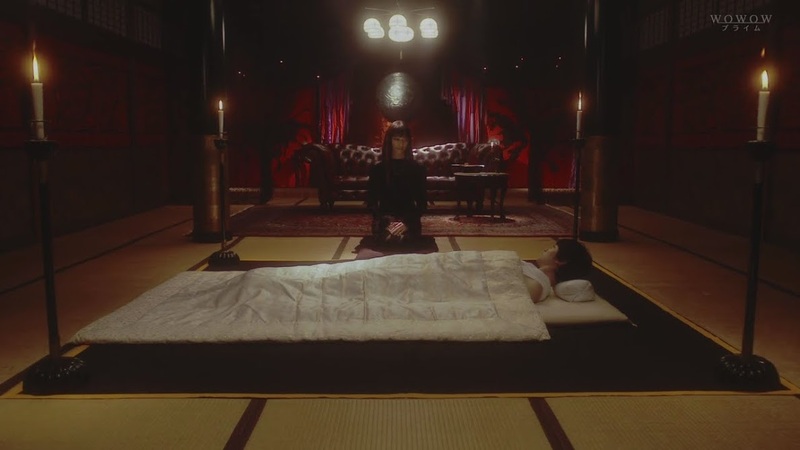 Domeki paid with the blood that Watanuki lost (no wonder the boy looked sick and half dead—that was a lot of blood). Then…what about Himawari? Watanuki looks down at his chest and we cut to Himawari holding her own chest in pain. Domeki asks if she is all right and Himawari smiles up at him and says she is happy. Why? Because she can remember Watanuki whenever she touches the wound. That’s…slightly disturbing. 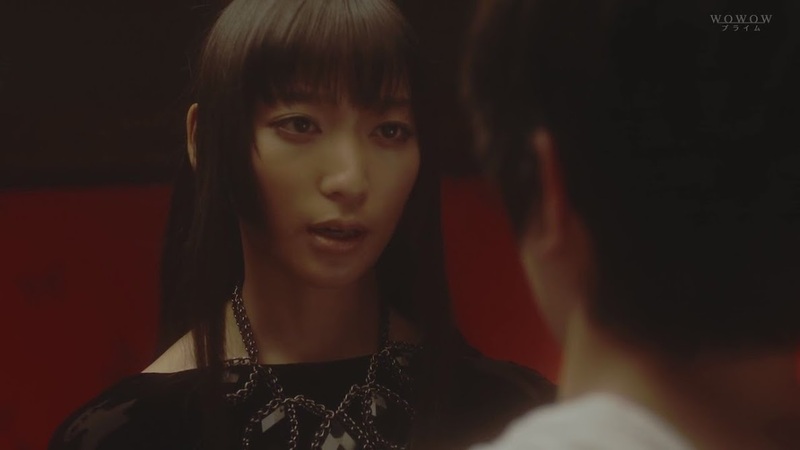 Watanuki then demands Yuko to return what they gave. Yuko immediately refuses. How can she when it’s his wish? 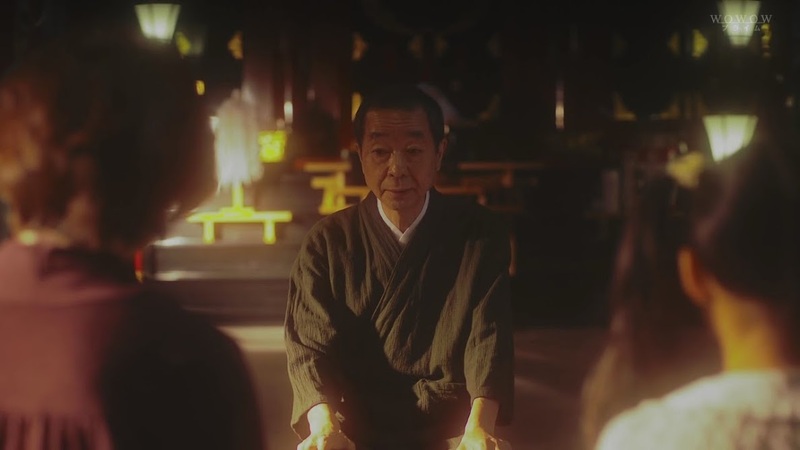 Yuko says she gives priority to the one who asked first when the wishes are of equal strength. This does not please Watanuki. 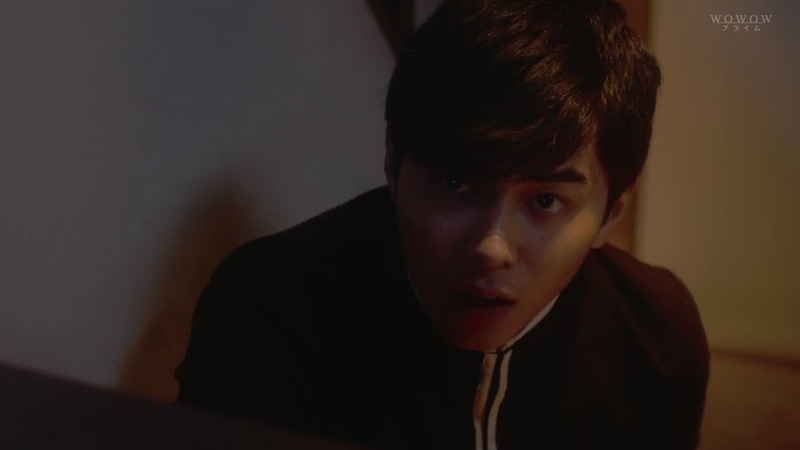 He then desperately wishes for Yuko to save Himawari from her sad fate. 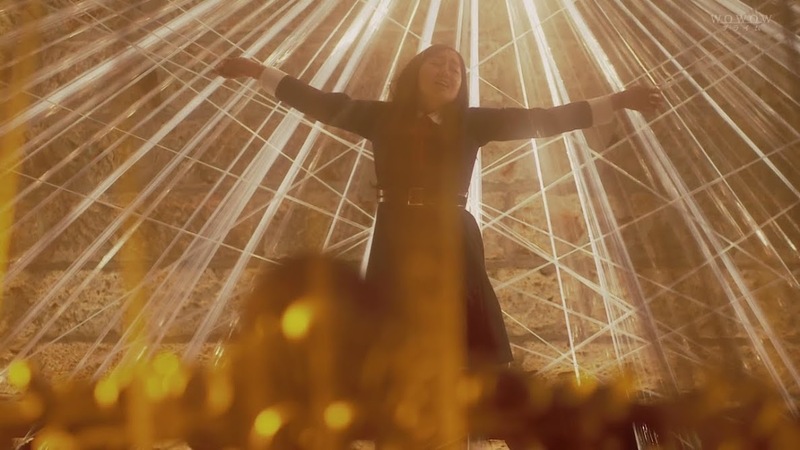 Yuko says that such a wish’s payment would be the equivalent of Watanuki’s life. Our (dumbass) hero then tells her to take his life earning him a slap. Good job, Yuko! Those two gave up pieces of themselves for him and now he’ll throw it all away and die? Shakes head. Both Yuko and Watanuki seem surprised by Yuko’s action. 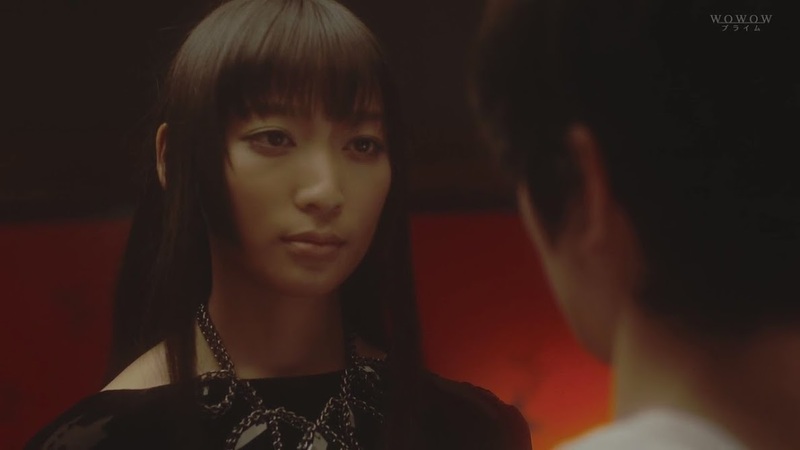 Yuko’s face is sad and she looks down before looking up and meeting Watanuki’s eyes. There is something the young man needs to learn: “you need to realize there’s only one thing in this world you can exchange without a price.” Yuko then touches the cheek that she slapped and steps closer. “Until you find out what that is, this evil festival won’t end.” Hmm. Evil festival? In reference to the Jorogumo matter or something else or in all odd happenings? Domeki is walking Himawari home when she pauses and tells him that he can stop. Domeki insists he will see her home, but Himawari insists that she wishes to be alone at the moment. Domeki doesn’t seem to like this, but Himawari smiles and tells him it’s okay. Domeki says he gets it and then pulls out her yellow hair ribbon. 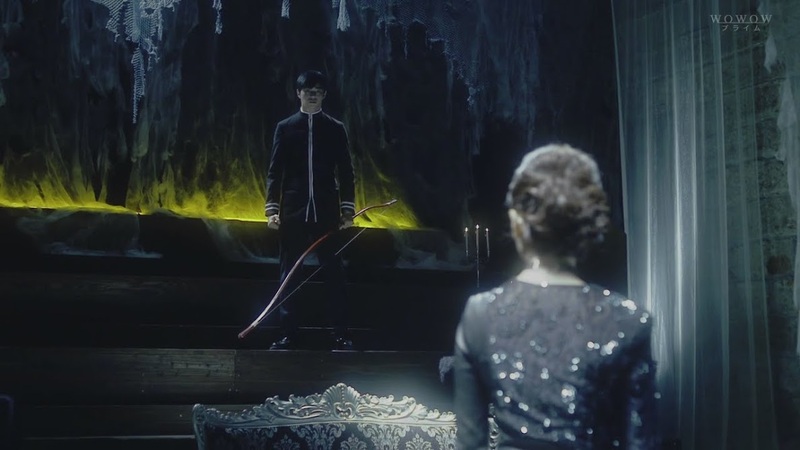 He tells her that Watanuki held onto it until the very last moment. Himawari smiles and thanks him before saying sayonara. She turns and walks away, smile fading. The depressed Himawari heads into the woods with her ribbons in hand. We see a spider web in a tree. Himawari looks in shock and the next thing we know we hear her scream. Domeki hears this also and immediately goes running. Back at the shop, our cutie pie girls Maru and Moro bring Watanuki a meal they prepared for him. Watanuki takes the food and tries it. 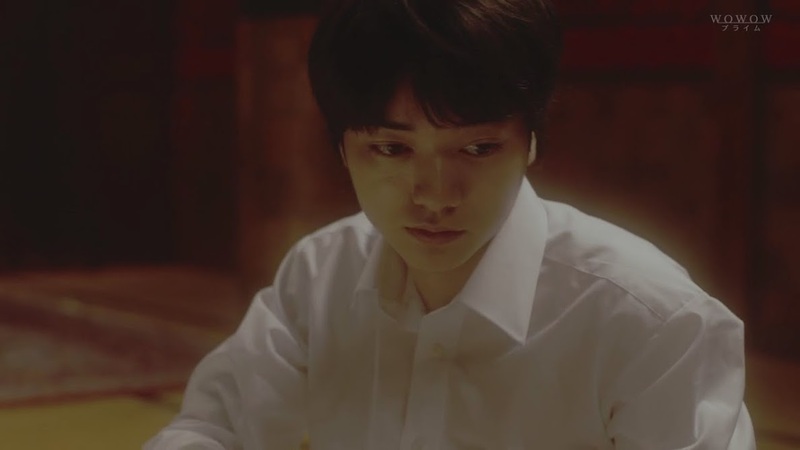 He tells them that it is delicious and the two girls look relieved and happy and tell him to eat and regain his strength. They then hand over Watanuki’s glasses that Domeki had given them. A thud is then heard outside and there is a breathless Domeki holding Himawari’s ribbons collapsed on the stairs. 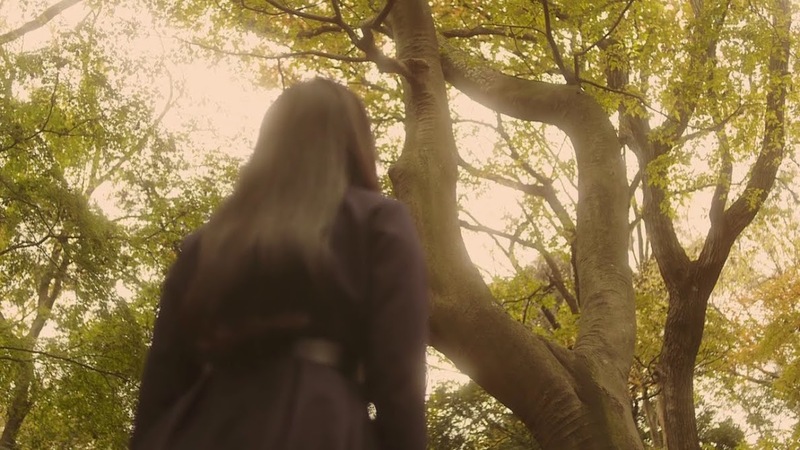 We cut to Domeki rushing into the woods where he found Himawari’s ribbons ensnared in a web, smoldering. Yuko comes downstairs at this time. 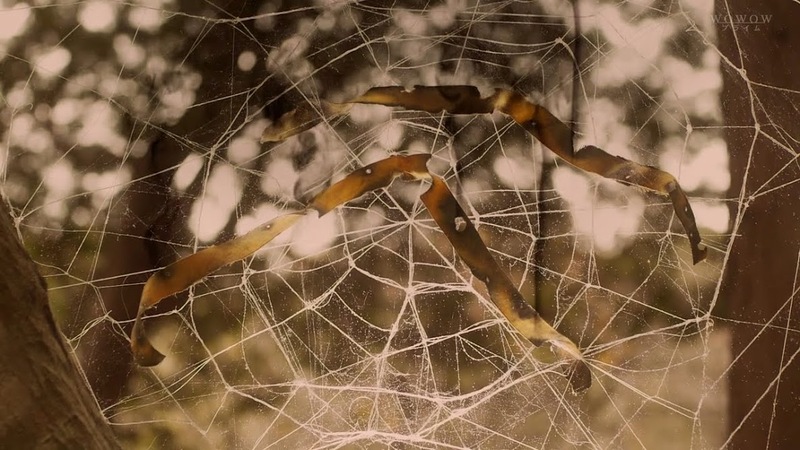 We then cut to the Jorogumo’s lair where Himawari is bound up in a web. Jorogumo apologizes for not getting closer to Himwari because of her filthy blood. The Jorogumo makes a motion with her finger and a web shoots around Himawari’s leg and tightens. Himawari cries out in pain and the Jorogumo smiles and calls her cute. She then says that Watanuki professed he would die for Himawari’s smile. But isn’t Himawari tired of smiling all of the time? 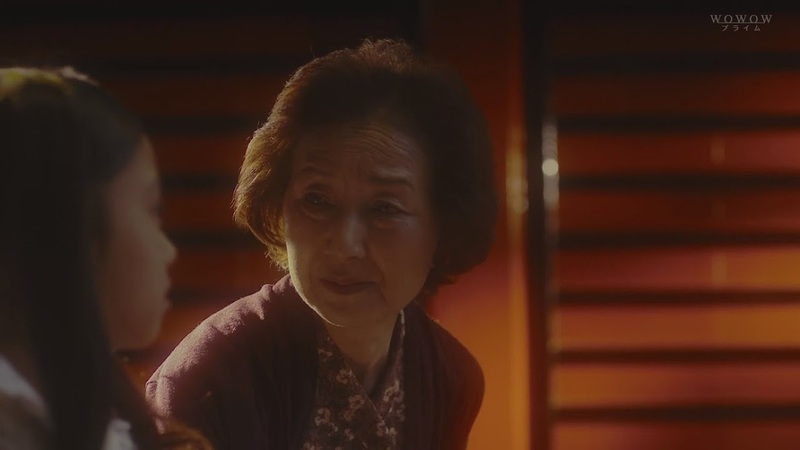 The Jorogumo holds out her hands and we get more of that bad CGI line crossing stuff. Himawari yells in pain once more and the Jorogumo cackles evilly and shouts that Himawari is fine just the way she is now. Poor Himawari-chan doesn’t look like she can take much more and that’s where this episode ends. Ah, the scenes for the final episode!!!! I can’t wait. What will be the final fate of our high school trio since they have diverged a far cry from the manga? Hard to believe then can cram so much into so little time. Yes..I have to say..that CG effect was not good. T_T It wasn’t as bad as the one in the previous episode but I still cringed at it. T_T It kinda ruined the moment. Anyways I knew things were gonna go wrong when I saw the spider web above Himawari!!!!! I wonder if Jorogumo is kidnapping Himawari just to force Watanuki into giving himself up? That would be really sad considering that Doumeki & Himawari already saved his life once. I’d assume so, since she still wants Watanuki’s soul. He’s unfortunately become famous in the spirit world XD. Hm… as a rule Yuko will never grant a wish that would directly kill someone because taking on burden of murder is too heavy a price for anyone, but I think she was also just upset he’d even say something like that (tut tut, Watanuki, there really ARE things you need to learn, namely not to throw your life away). if you’re talking about the line about “one thing you can exchange”, looking back on it, that line wasn’t translated properly. It’s actually supposed to be “you need to realize there’s only one thing in this world you can exchange without a price”. That’s right. A life is quite a burden and taking it leaves a lot of bad mojo/karma. 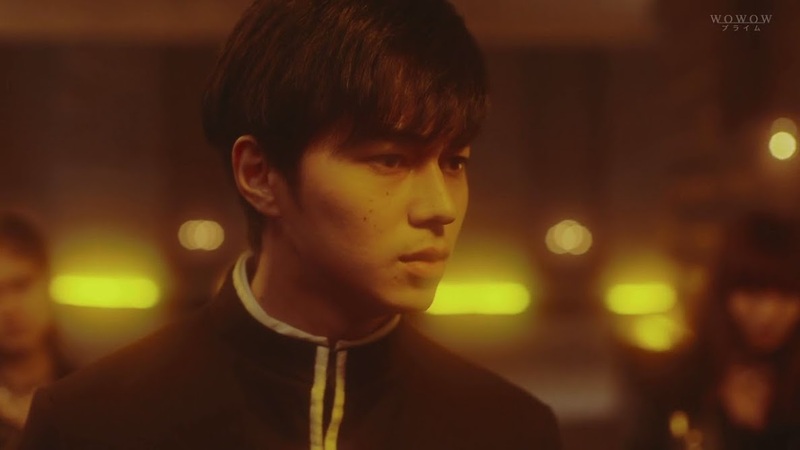 So besides probably being upset at Watanuki’s willingness to just throw away his life (which his friends just sacrificed for to be saved), it’s rather a difficult exchange and very rarely, if ever, is done. Given the previews, the Jorogumo is definitely using Himawari to get at Watanuki, especially when she throws Watanuki’s comment in Himawari’s face about how he could die for her smile. I hate the drama but love the anime and manga.